It is one month since the launch of Shropshire’s Heritage Heroes, (www.heritageheroes.org.uk), and we can proudly announce that we have reached over 100 virtual volunteers! Thank you to everyone who has signed up and who have taken the time to start editing and submitting records. There are two projects available to choose from at the moment; a charming Shropshire commercial directory from 1916 and a glorious group of Roman coins. 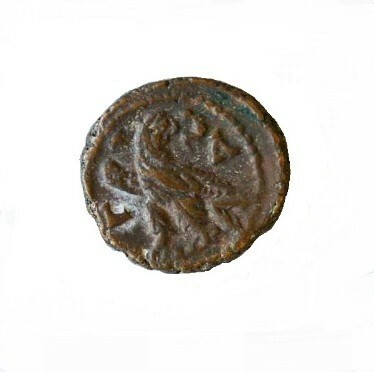 For this, the second blog from Shropshire’s Heritage Heroes, we have chosen to honour the magnificent Roman coin and this blog has been written by Emily Nicklin, Volunteer Co-ordinator for the Shropshire Heritage Heroes website project. Emily and her family are passionate about coins and she is thrilled to be able to combine work with pleasure in this way. 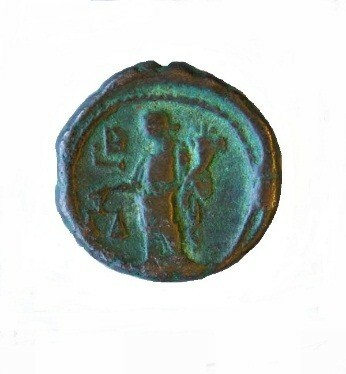 Please have a read about coins and how you can help in enhancing the record held on them. 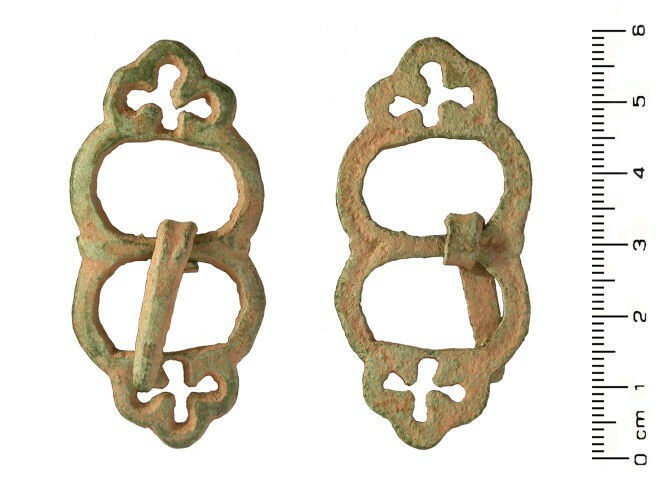 to post medieval buckles, (image of my dad’s buckle, sourced from http://finds.org.uk/database/artefacts/record/id/130555). They are real pieces of history that can be held in your hand. I used to close my eyes and imagine who had last touched them and how had they been lost and buried? Maybe the Roman brooch belonged to a young man who had made it to give to a lady he liked, only to find she liked someone else and so he tossed it down and there it stayed, lost and buried, until my dad found it 2000 years later. This is unlikely, but when I was younger this seemed like a good enough explanation, at the end of the day no one knows for sure. This is where I got my buzz, it was this hands on experience which led me down the heritage path and to pursue a career in something that I truly love and am passionate about. 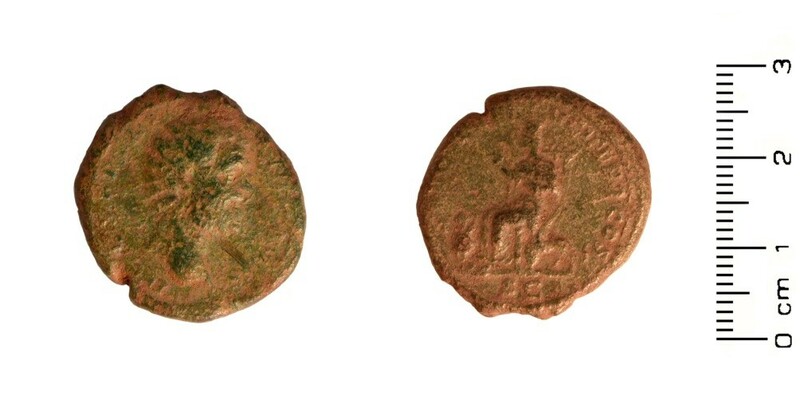 So, why are Roman coins so important? 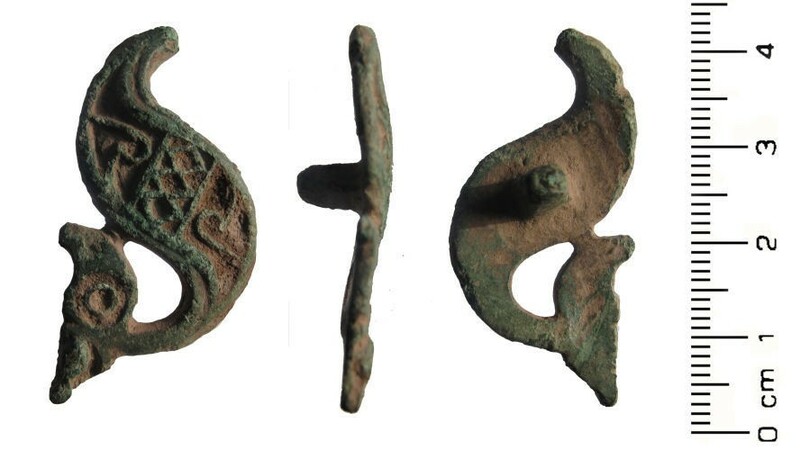 This is the interesting part … Unlike most modern coins, Roman coins played a key part in Roman society. The Romans used coins as a marketing tool as they could reach all corners of their far reaching empire without any extra cost. They could convey a meaning or relate an idea via their imagery and inscriptions right across the globe. Coins were not meant to influence the populace, they were for and used by the elite, however, this ability to self-promote created intense and corrupt competition amongst the ruling classes. At first nobles and senators could use coins to promote their name but it was Emperor Julius Caesar who decided to change the game and issued coins bearing his own portrait. Now with this change in dynamic, imagery on coins had taken on a whole new meaning. In fact it was so dynamic that we still use the image of our ruling monarch on coins today. One man’s idea still in use over 2,000 years on, not many people can say that. 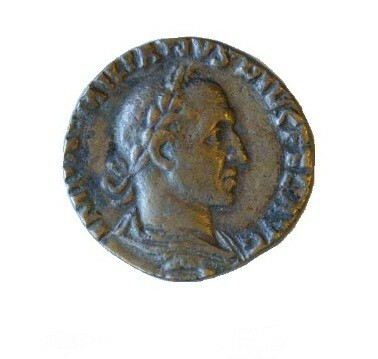 After Julius Caesar’s assassination, the portrait of an emperor on a coin became legal in 44 BC and all subsequent emperors used their own image on coins as a way of disseminating themselves throughout the empire. 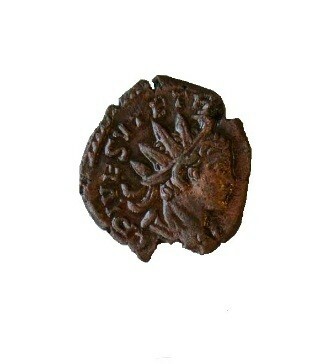 It also meant that the coin could now embody the attributes of the emperor portrayed. However, it was also an opportunity to exaggerate. More often than not emperors liked to make themselves appear God-like and gave themselves attributes normally associated with divinities. For example; Emperor Commodus, in AD192, depicted himself clad in a lion-skin (the usual depiction of Hercules) on one side, and an inscription proclaiming that he was the Roman incarnation of Hercules on the other. This is an extreme case but it shows you their true objective. Coins are evidence we can use to better understand the history, economy and art of that era. They survive in such vast quantities which allows us an in depth insight into official religion and cult, political thought and propaganda and ideological artistic features. However, despite all of this we are far from understanding this amazing tiny object. Who knew that something so small could hold so much? So, Question: What do you do if you find a coin (artefact piece of pot, flint or anything like it)? Answer: Report it to your local Finds Liaison Officer (FLO). Please click here for current FLO contact list. The Portable Antiquities Scheme and The British Museum. My parents reported anything they found, of historical importance, to the FLO. FLO’s are part of the Portable Antiquity Scheme, (head office: The British Museum). 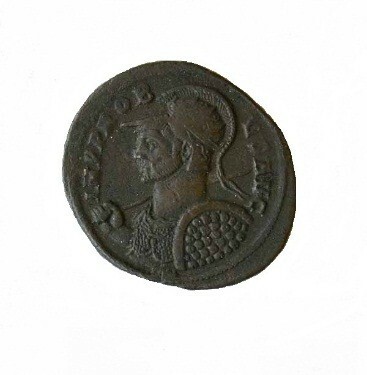 At the moment, The British Museum also have a number of exciting ‘virtual’ projects and if you enjoy working on our Roman coins you may enjoy their MicroPasts project. There are around 7500 cards to transcribe and 1000 images to photomask. If you fancy getting involved just click on the link: http://crowdsourced.micropasts.org. There is also an article written about Micropasts, so if you fancy knowing a bit more first have a read at, http://finds.org.uk/news/stories/article/id/254. If you have any questions about this project or the Portable Antiquities Scheme then you can contact Shropshire’s FLO, Peter Reavill on peter.reavill@shropshire.gov.uk, who has an office at Ludlow Museum and Resource Centre. Back to Shropshire’s Heritage Heroes. So do you fancy having a look at these incredible marketing tools? Fancy seeing if you can see the message the emperor is trying to tell? See if one emperor is exaggerating a bit too much?! 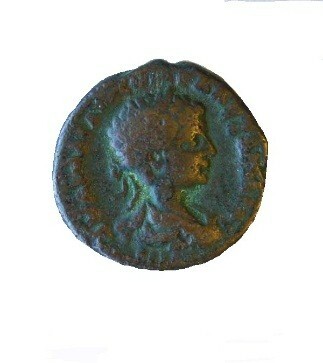 The Roman coins we have selected need more information adding to the description. We need the coin’s records updating and improving and we need YOU, our Virtual Volunteers, to share your knowledge and help us to achieve this. We do not expect you to be a professor of numismatics but you will need to have some knowledge of coins. There are more coin projects coming up including one that holds one of the largest hoards of faked (contemporary copied) late Roman coins found in Britain, known as the Bridgnorth Hoard. Watch this space! We are busy working at getting more projects available on the website so again, so keep looking out for what we are doing. I can tell you that we have some very interesting World War One Field Diaries and some wonderful Shropshire banknotes coming soon. We are also, as you read, working on making our first of hopefully many, ‘How to …’ instruction videos on how to work and use the website. So bookmark our website and watch this space for updates!! !